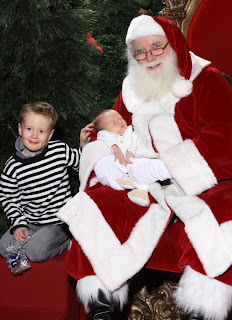 Grandsons - Gabriel Spencer 3 years and Shepherd Eli 5 weeks old!!! Great fun today - the book club decided to go on a house tour that was happening in Old Town Alexandria today. 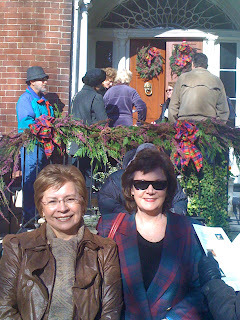 After a great brunch put on by Paula a few of us headed out on this chilly day to walk Old Town and check out some beautiful home decorated for Christmas! 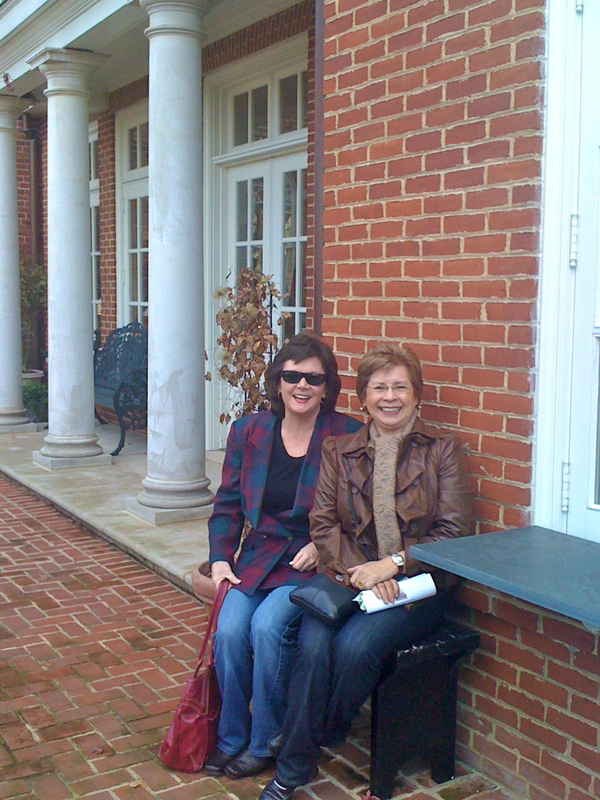 The first house -Paula and Zlaticia pose in front of the Yeaton-Fairfax House- beautifully restored 1802 home. 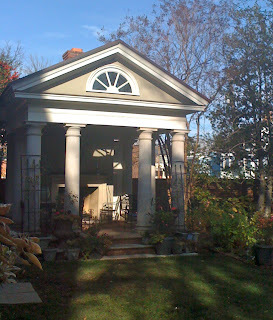 Considered the finest federal style house in Alexandria. Gorgeous inside but a little too formal for our taste. 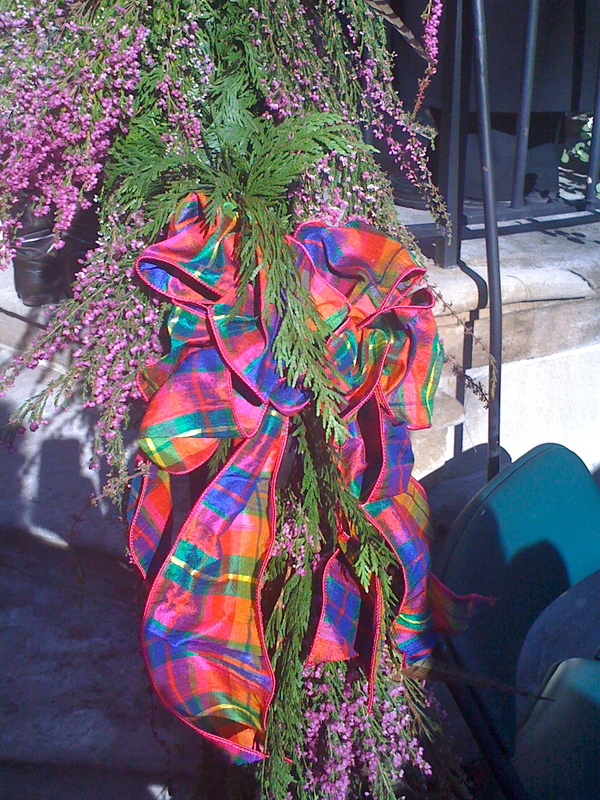 Love the boughs of heather they used to decorate through out the house. 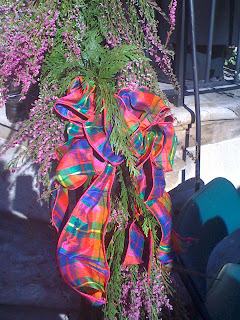 Very Scottish!! 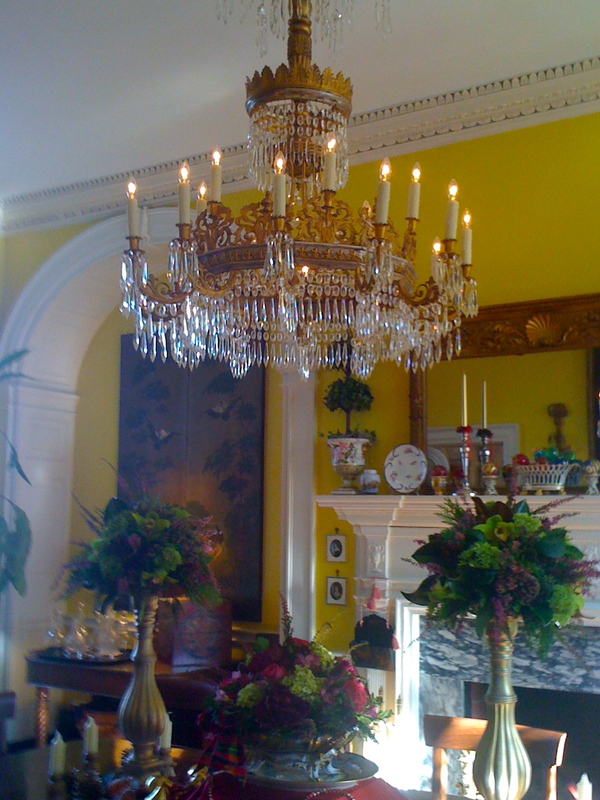 Beautiful formal dining room - fabulous chandelier. 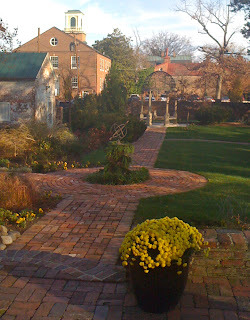 Taking a short break outside in the gardens - all these homes have gorgeous outside gardens and walkways. The women of the house is an amateur horticulturist- hence the gardens. 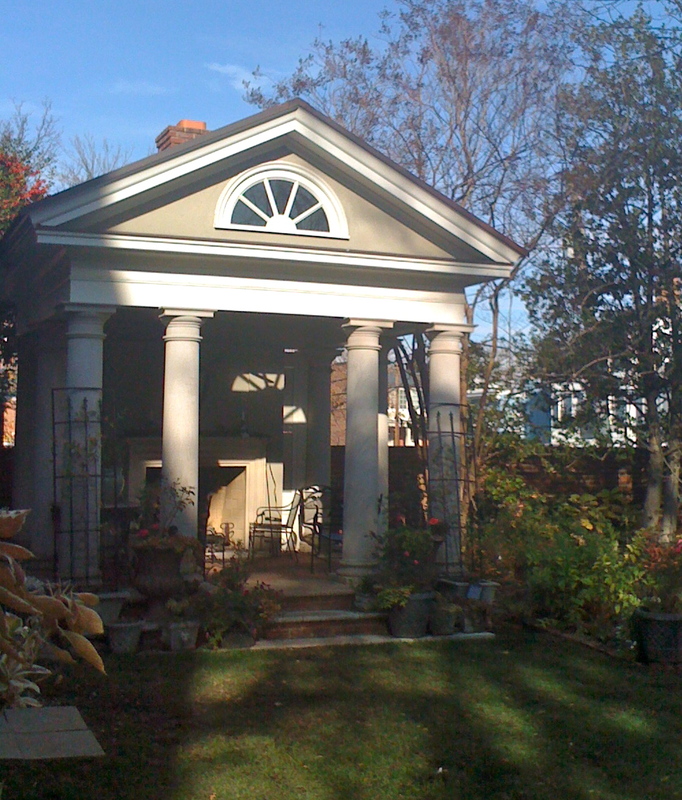 This is also a great space on the side yard - there is even a fireplace to sit next to!!! 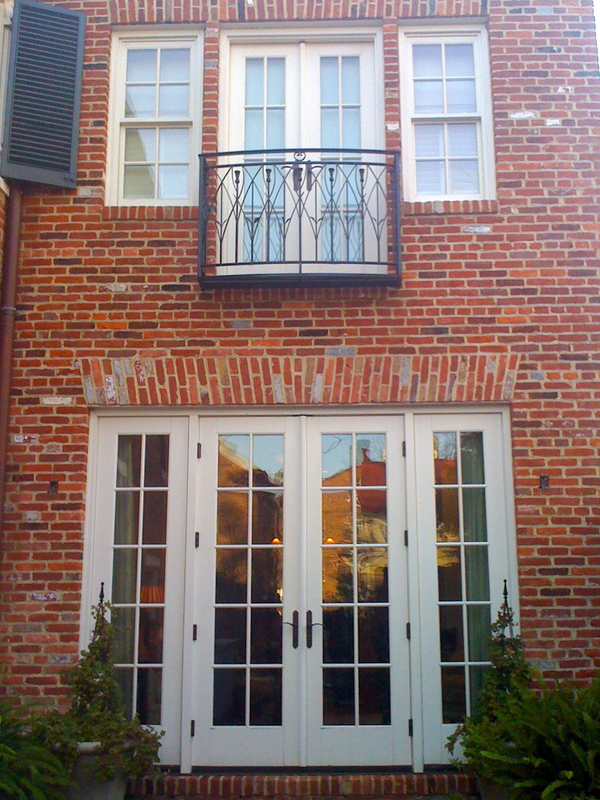 905 Prince Street was the home of a barrel maker in 1815. Alexandria was a booming seaport hence the need for barrels on ships. 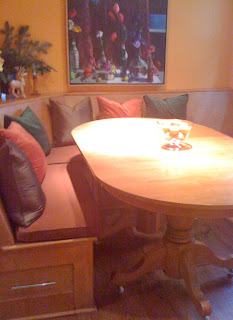 The recent owner is an artist and her husband is an architect. Painting of the owners' triplets was done by the owner. Love the idea of hanging the 12 days of Christmas ornaments on the kitchen fireplace. Also love the red garland- think a fresh version would look great on my kitchen mantle in Maine! 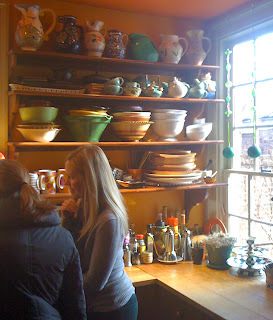 Open shelving in the sunny kitchen look great with pottery and pitchers displayed. 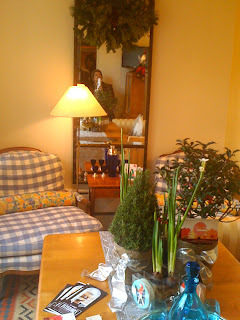 We exit the house through a very welcoming sunroom. Just the place for a relaxing afternoon. In one of my favorite houses - the owners have created a great nook in the back of the kitchen. Love the built in bench with table pushed up against it. 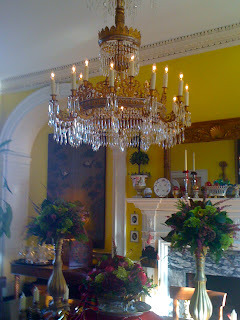 Have been thinking of doing this in the servant's dining room up in Maine. 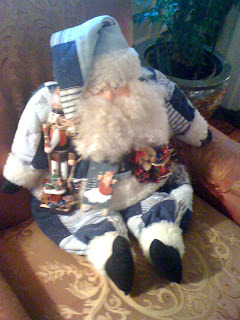 Took a few pix of this to show George - so we can think how this could work in Maine! 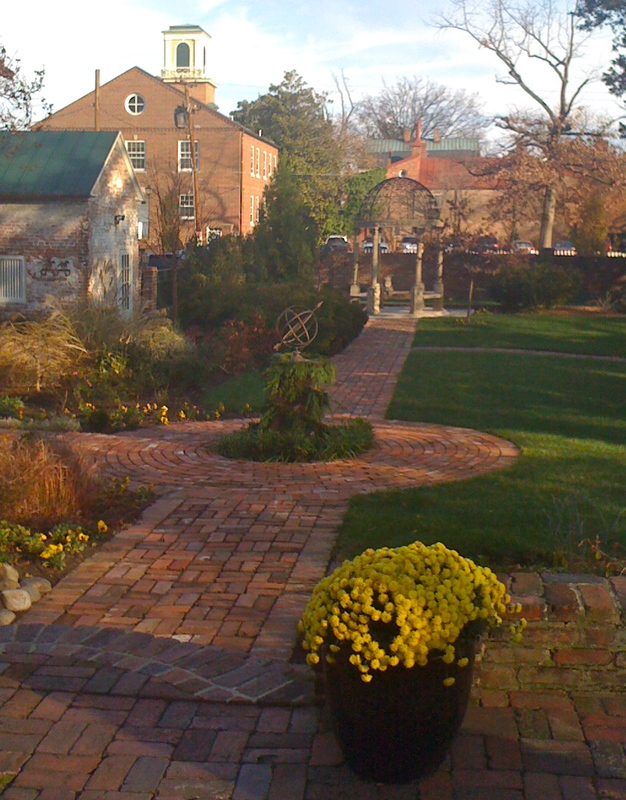 This is the back of the property - charming way to leave the property. As we were making our way to the next house we heard the Scottish bagpipers giving an impromptu concert on the street corner! Lots of festivities going on this weekend! The Holland house on the tour has tons of property - once a farmhouse this house took 3 years to renovate. We got to talk to the owner. This was my favorite house. Great kitchen!!! This was one of many Santas displayed throughout this house- we found out they were made by Tipper Gore's mother during the Gore's time here in Washington as Vice President. 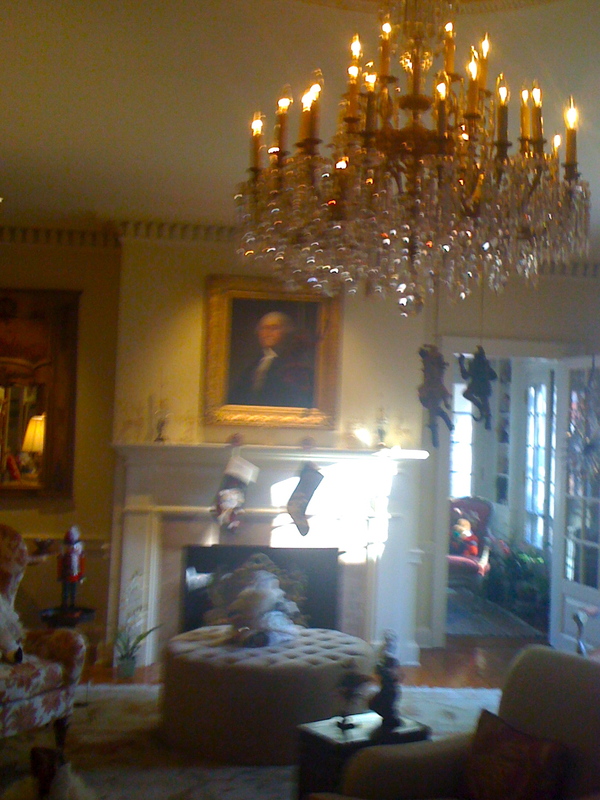 The Holland house has a fabulous Baccarat crystal chandelier in the middle of the "gathering room" - and one of 75 Gilbert Stuart original paintings of George Washington over the fireplace!! Pretty impressive! They had a small picture of the owners and the George W Bush's at the White House in front of another Gilbert Stuart painting. Apparently the only difference is the collar on George Washington's shirt. It is said the Gilbert Stuart painted the faces of George Washington and his assistants painted the clothing - hence the different collars! 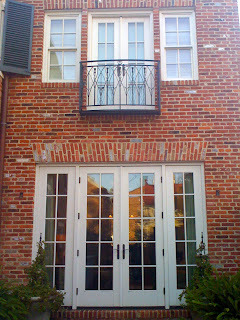 Leaving the Holland house out the back door - loved that house!!! 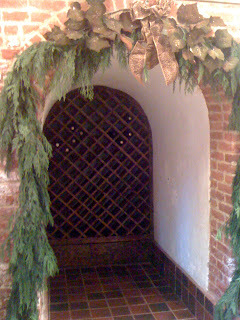 Great way to decorate the wine cellar- in the final home we toured today the kitchen was in the basement of the house! Had a great view of the Potomac River in the back yard!!! 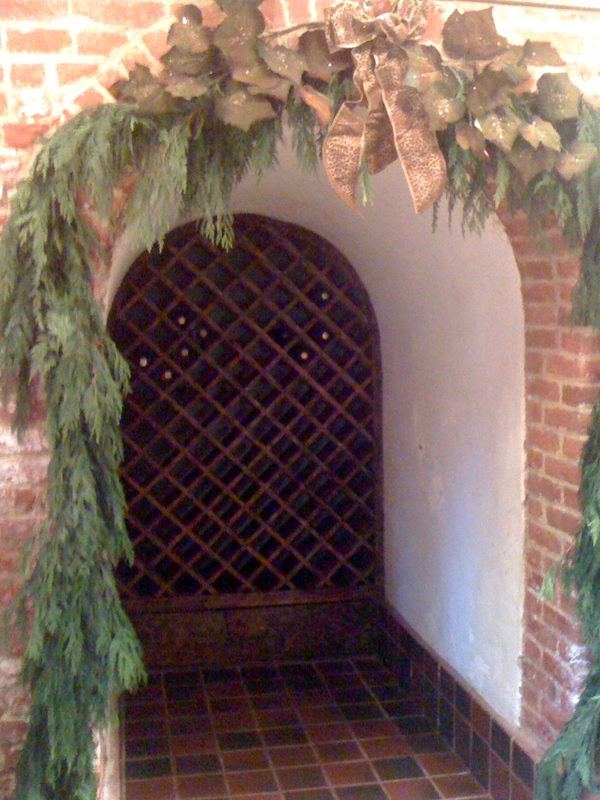 This wine cellar was originally a coal chute! All and all a great day with fun friends!!! Just a little PS- all these photos were taken with my pathetic IPhone- sorry for the poor quality- too lazy to lug around the larger camera! !